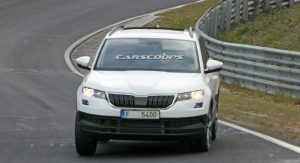 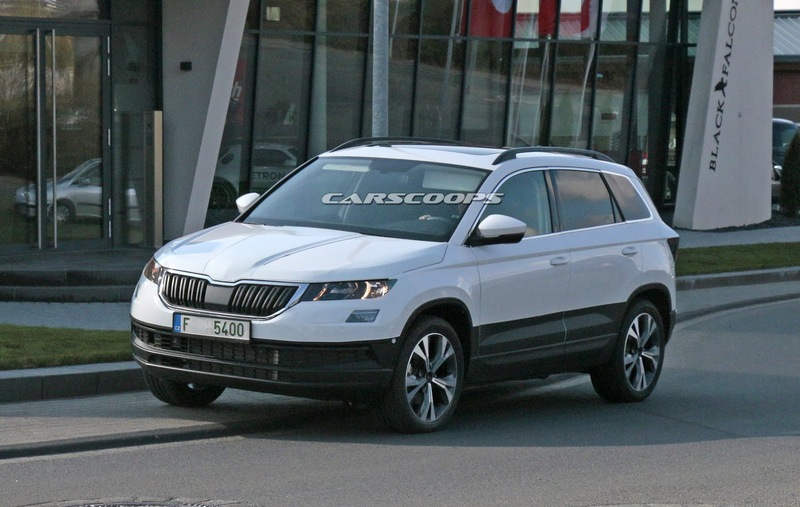 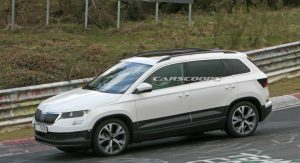 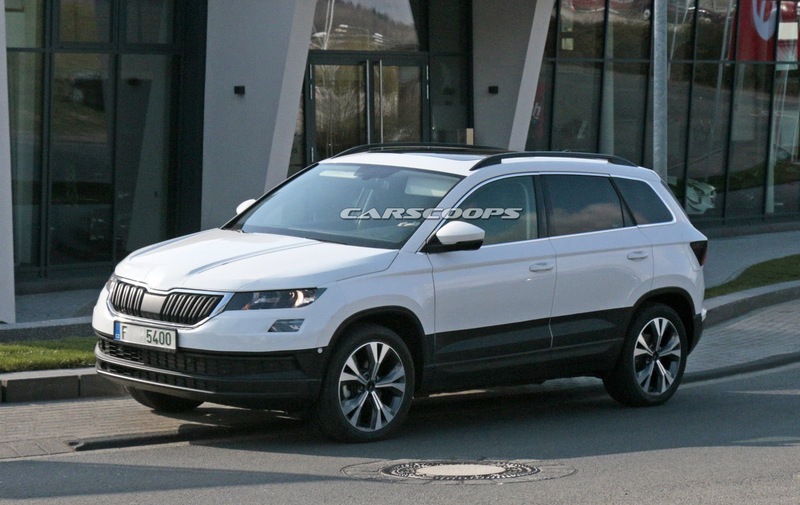 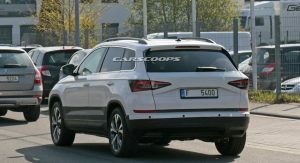 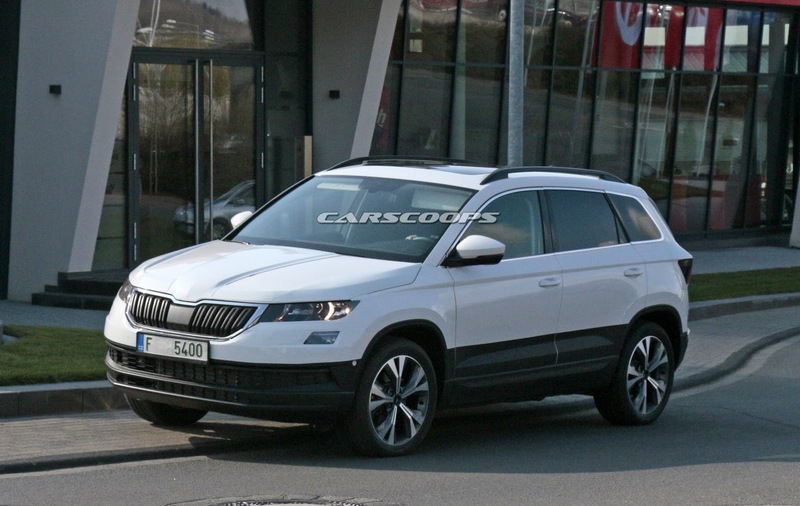 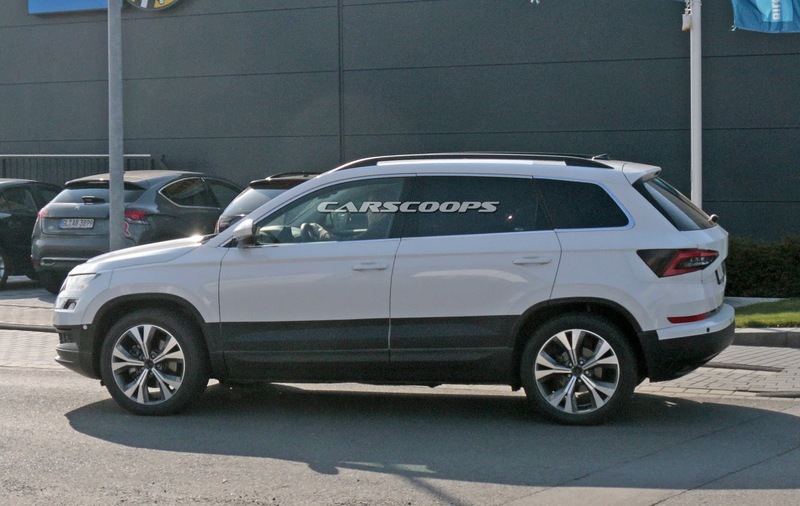 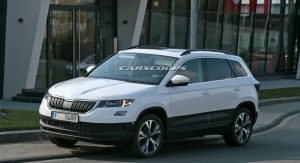 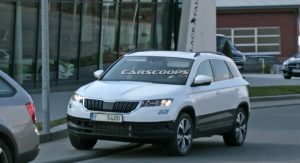 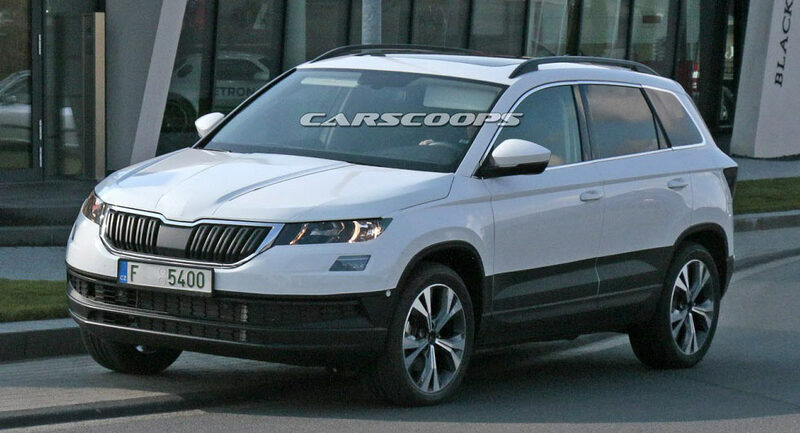 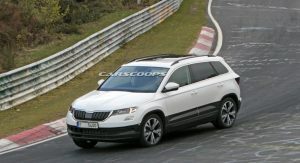 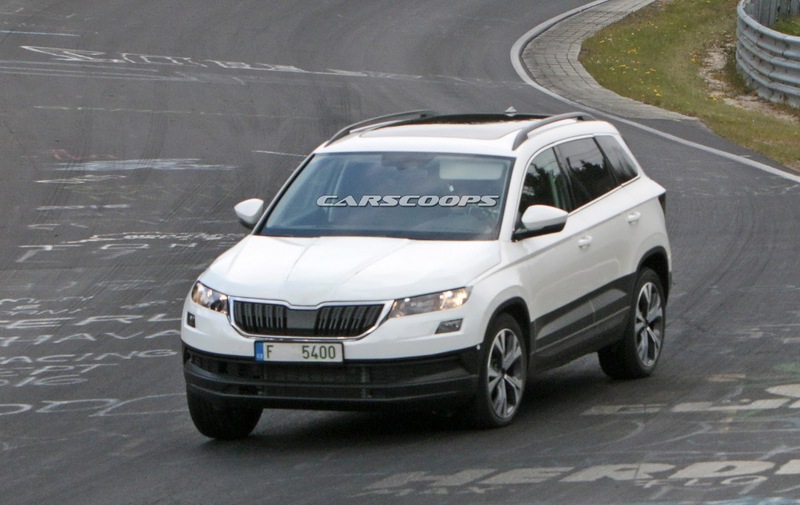 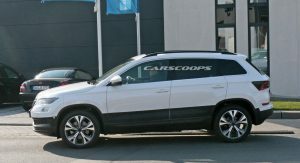 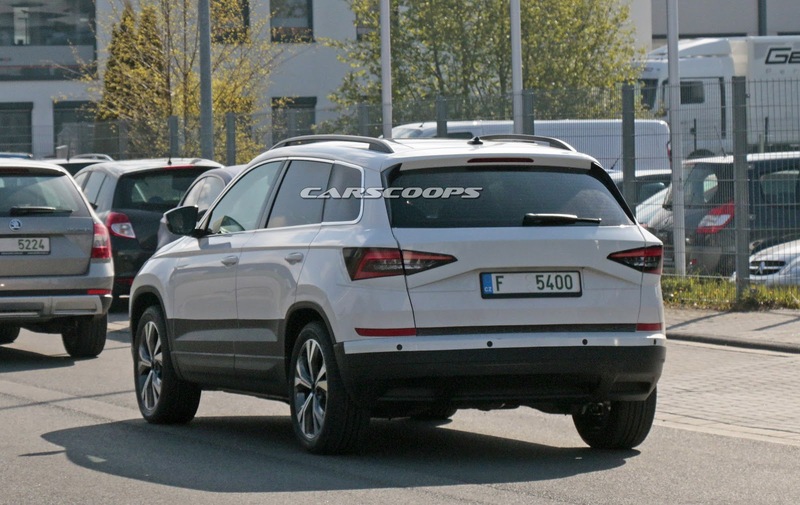 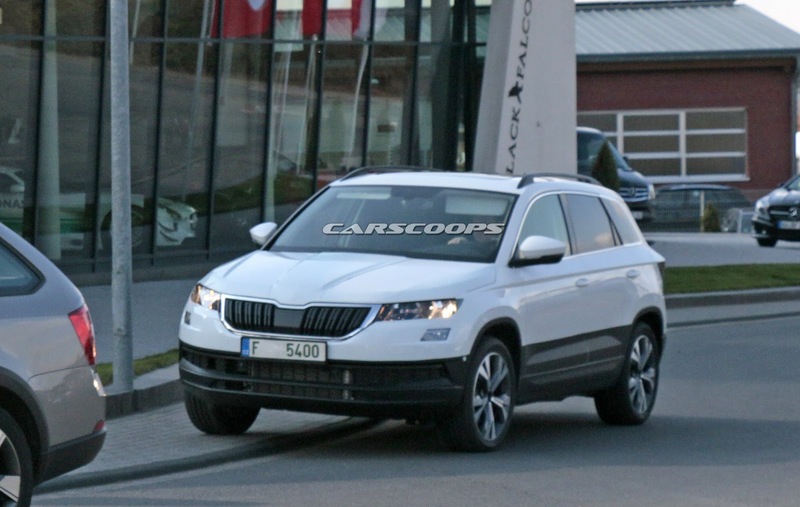 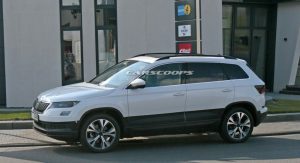 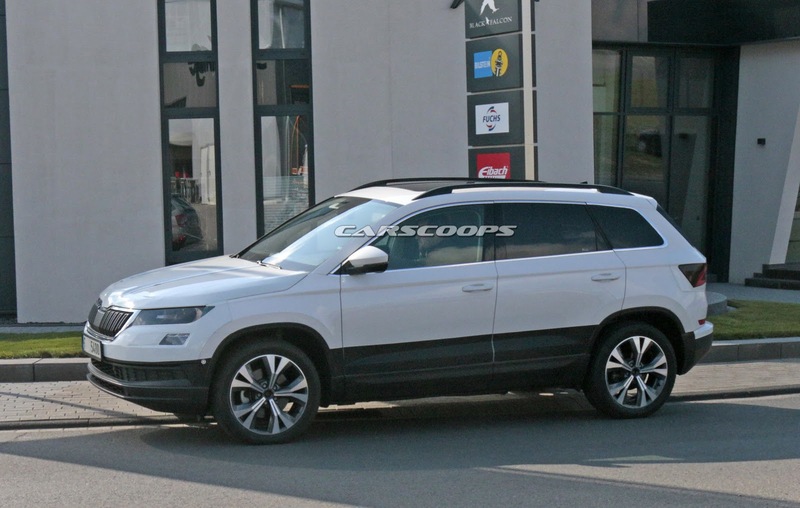 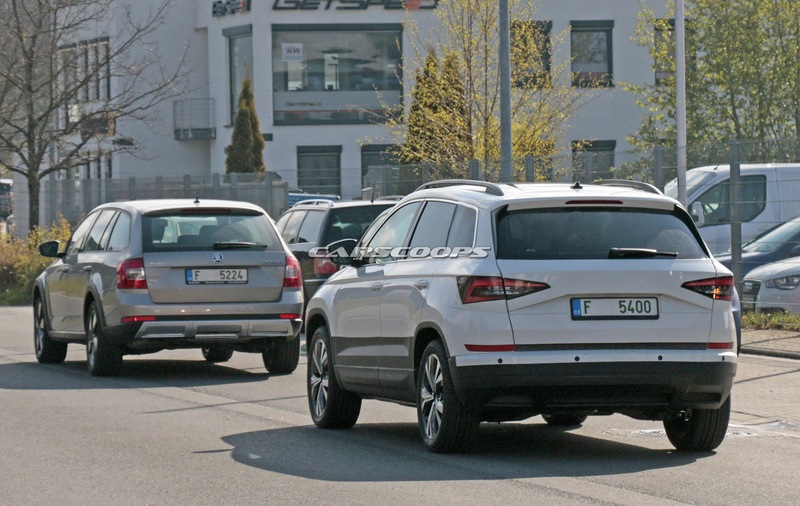 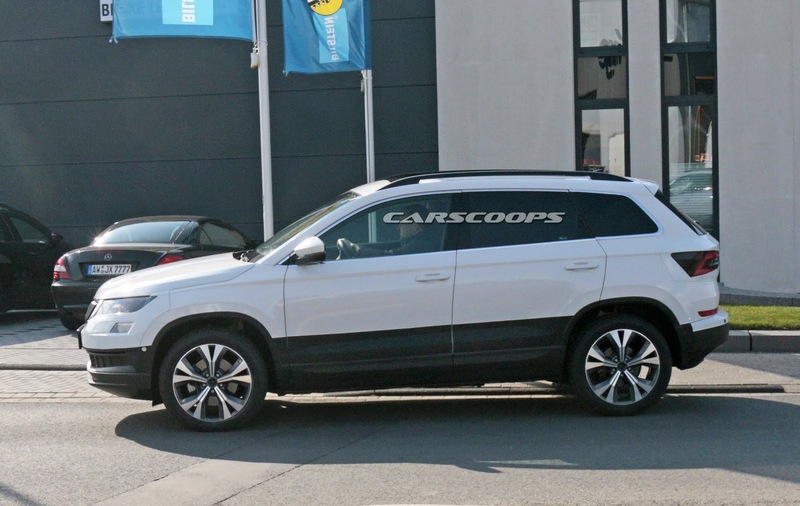 The Skoda Yeti has been a mainstay of the company’s lineup since it was introduced in 2009 but it appears its successor, which has been officially named ‘Karoq’ is going to be a bit of a departure from the current model. 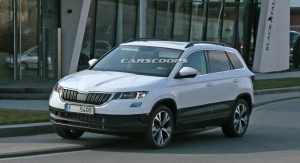 Its name continues the brand’s Alaskan theme after the larger Kodiaq that was named after a type of Alaskan bear. 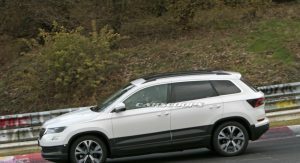 The name and its spelling originate from the language of the Alutiiq, an indigenous tribe who live on an island off the southern coast of Alaska, and is a combination of the terms ‘KAA’RAQ’ (car) and ‘RUQ’ (arrow). 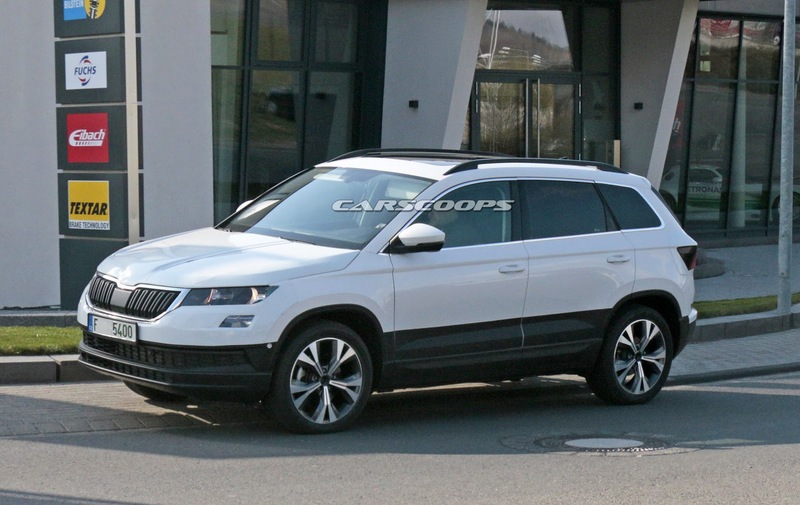 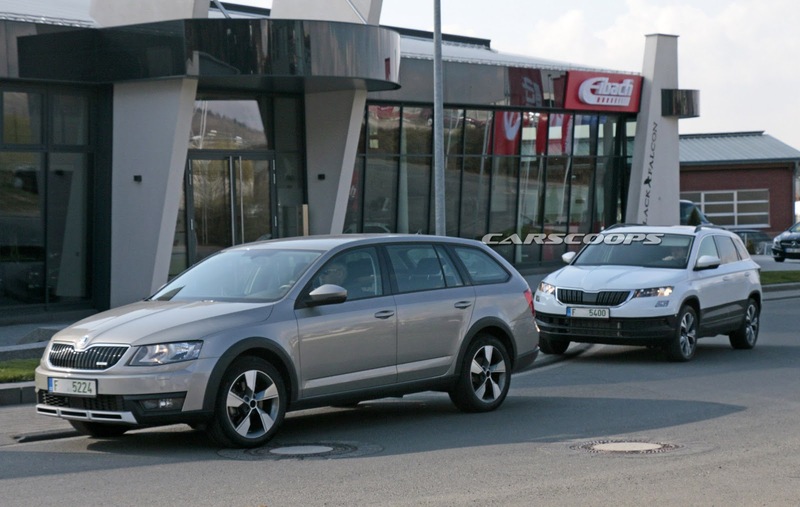 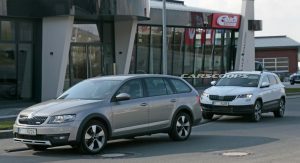 Aside from the name, Skoda also confirmed that we’ll see it for the first time on May 18 during a special event ion Stockholm, with a market launch to follow in the second half of the year. 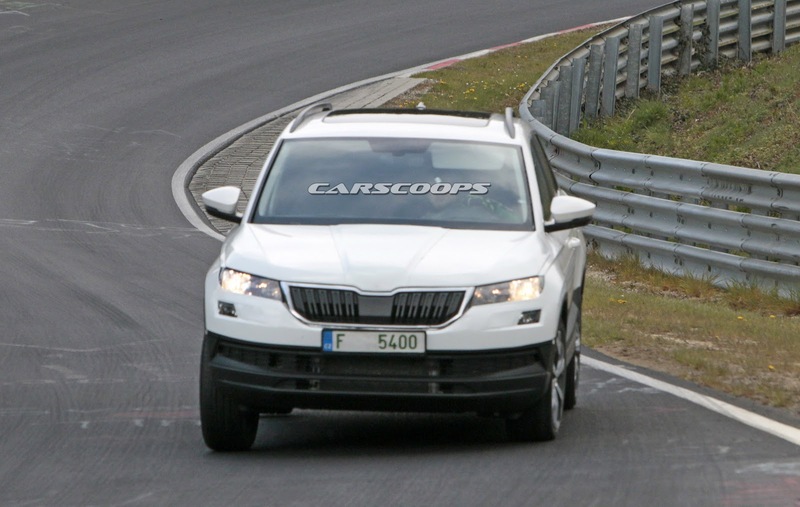 In the meantime, our spies caught a lightly camouflaged prototype of the Karoq undergoing testing on and around the Nürburgring. 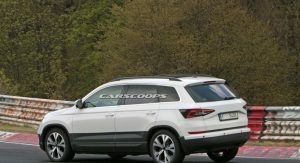 Skoda’s Nissan Qashqai and Honda CR-V challenger eschews the Yeti’s distinctive but unorthodox styling for a more traditional appearance which closely echoes the larger Kodiaq. 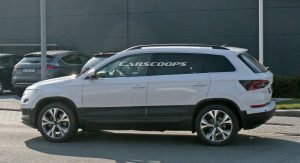 Dressed in moderate amounts of camouflage, the crossover has a slender grille, strong character lines, and modest amounts of plastic body cladding below the doors. 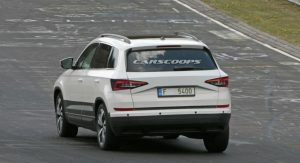 The photos also reveal an upward sweeping beltline, angular taillights, and a tailgate-mounted rear spoiler. 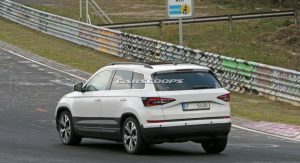 This particular prototype also sports a panoramic glass roof and black roof rails. 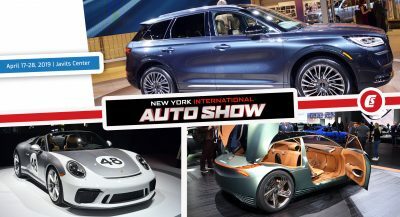 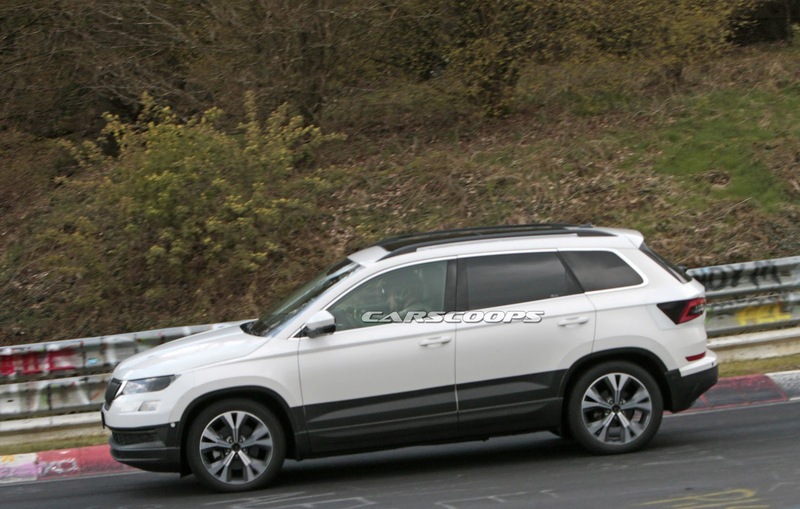 The crossover will be based on the Volkswagen Tiguan so expect a variety of familiar engine options. 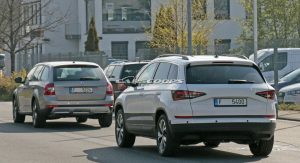 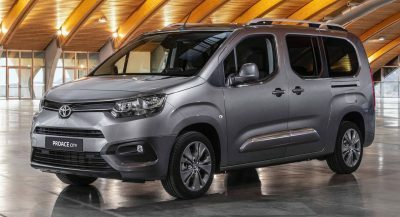 Nothing is official but petrol choices could include a 1.4-liter four-cylinder with outputs of 125 PS (123 hp) and 150 PS (148 hp) as well as a 2.0-liter four-cylinder with 180 PS (177 hp) and 220 PS (217 hp). 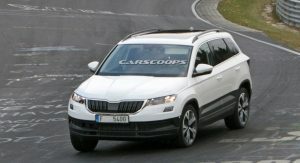 On the diesel side, there could be a 2.0-liter four-cylinder with outputs ranging from 115 PS (113 hp) to 240 PS (236 hp). 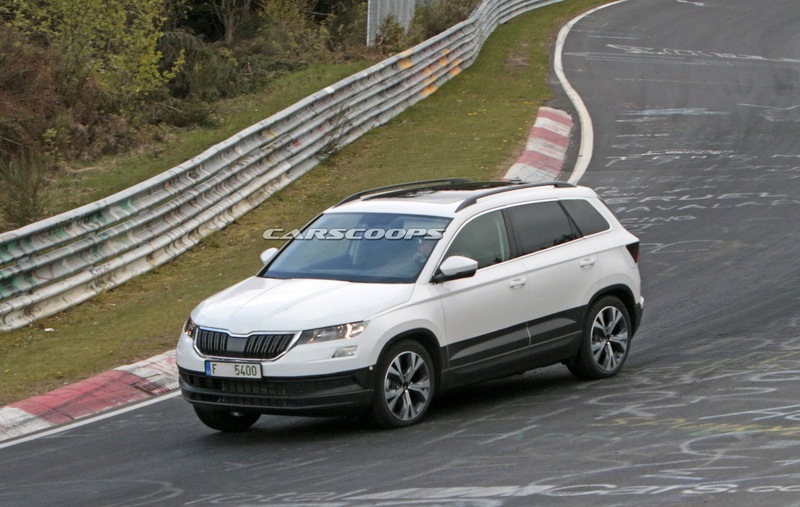 Front-wheel drive will likely be standard but all-wheel drive should be optional. 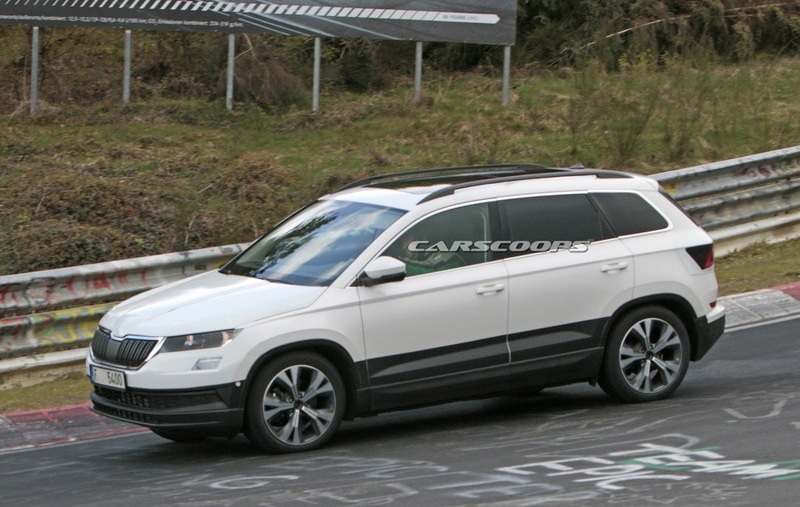 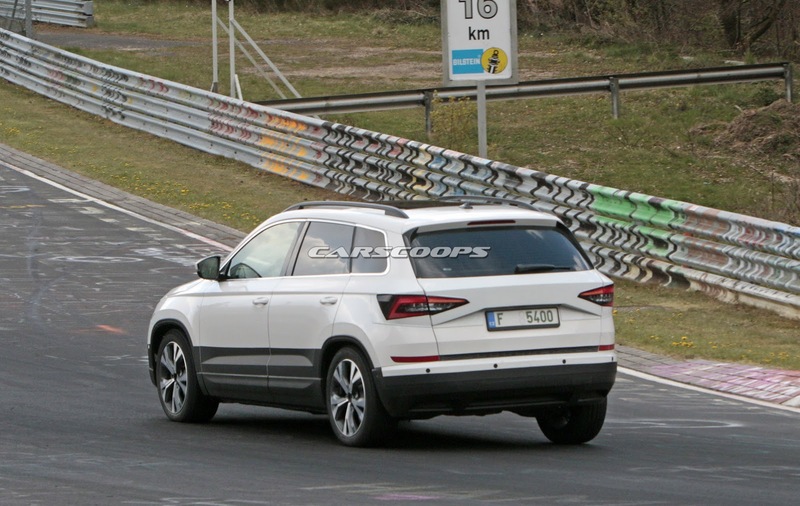 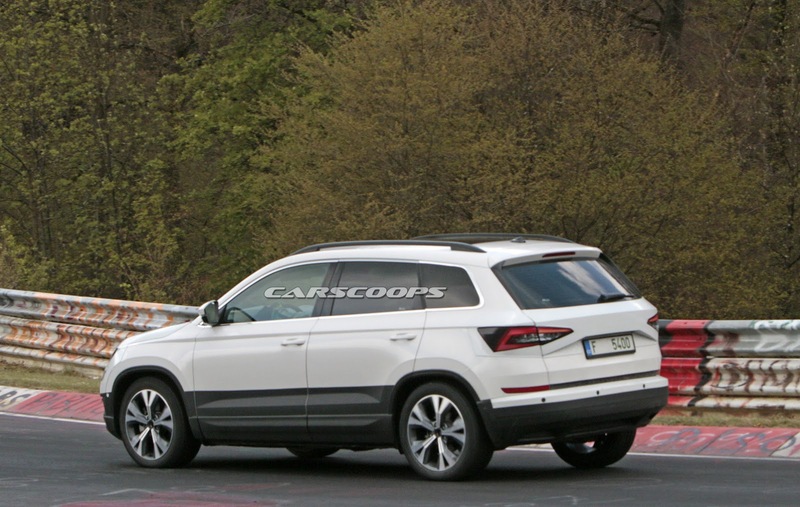 We already know that there is an Ateca Cupra on the way so perhaps there might be a Karoq VRS along at some point? 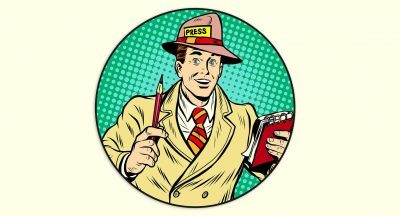 The platform handles well enough by all accounts. 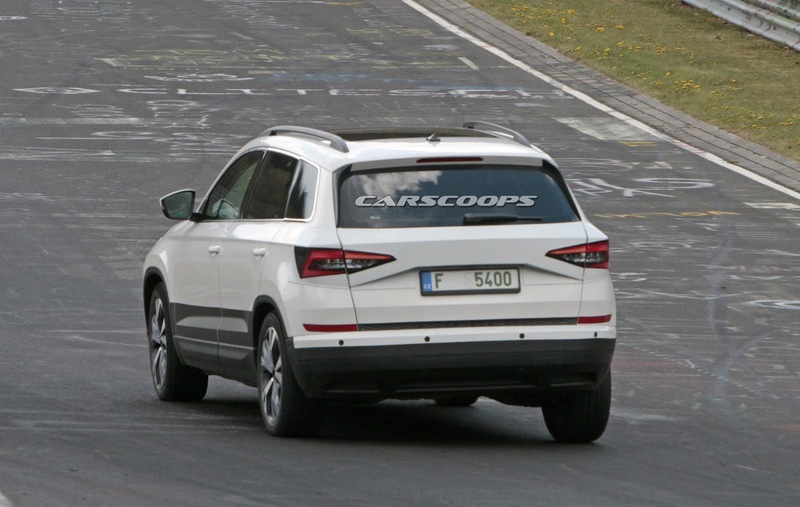 Surely these versions would have 200+bhp? 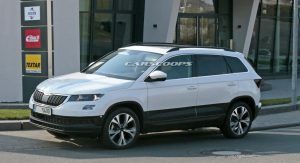 Is that Carrot, or Karoq?